We often get asked how to do marble restoration on small projects and small areas. We always recommend hiring experts for larger jobs and areas, but for our DIY crowd out there, here are some basics steps to marble restoration. Marble Honing: This is the process of smoothing out your marble. Honing will also cut away any scratches or stains that have developed over time. In a lot of cases, a good honing job can leave your marble looking great without moving on to any further steps. Classic Marble Restoration can handle those larger jobs. Polishing you Marble: A nice polish will give your stone that shine that you're looking for. Look for a semi shine or shining product with a good reputation to ensure no long term damage is done. Be sure to use neutral cleaning products on marble at all times. These products can be found at tile stores. If you do not have access to a cleaning product, warm water can also do the trick. As stated above, it's important to use the best products available and for larger projects, consult with a marble cleaning or marble restoration company that specializes in all stone products. 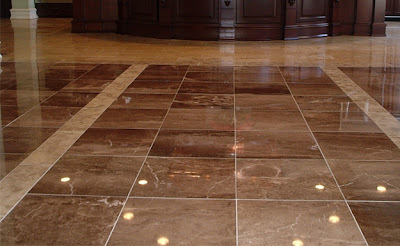 For South Florida marble restoration, please contact Classic Marble Restoration.